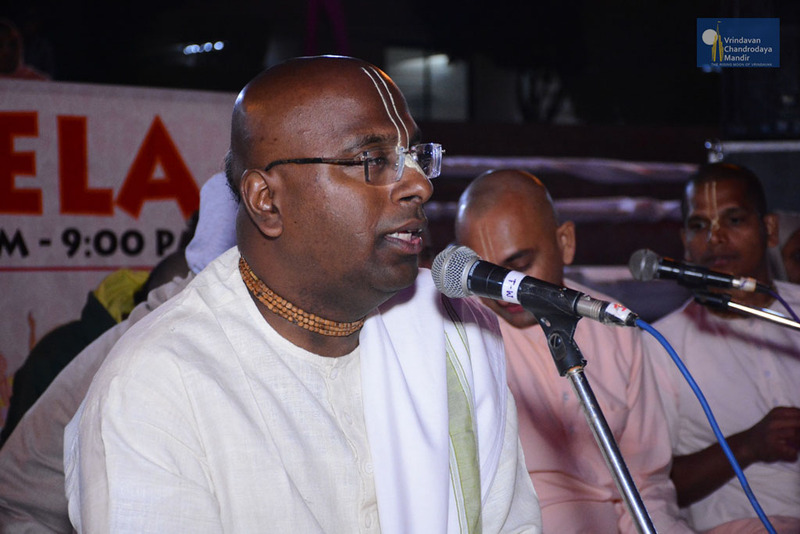 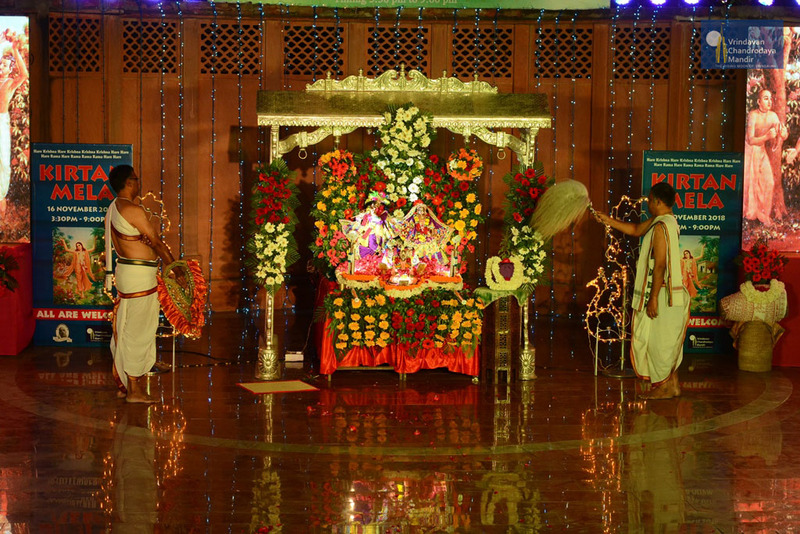 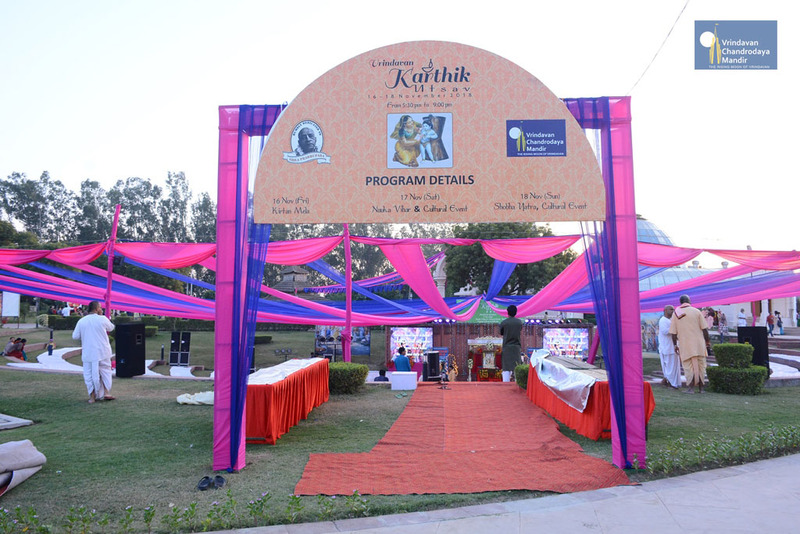 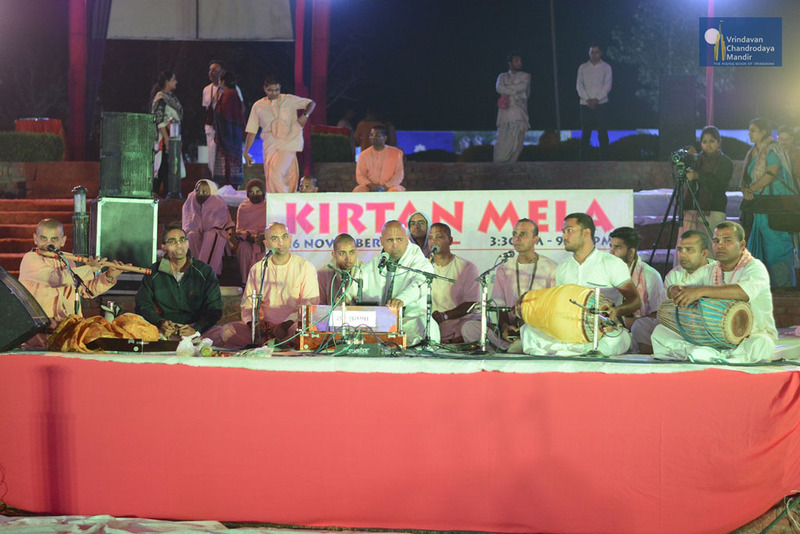 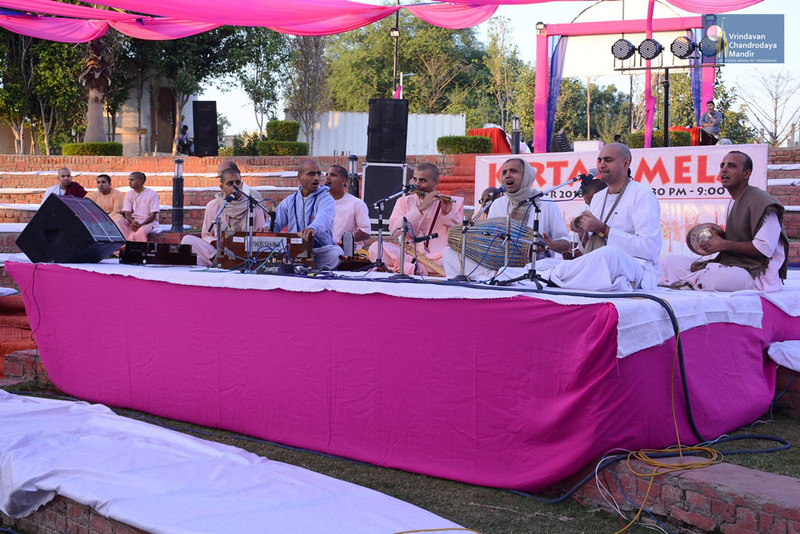 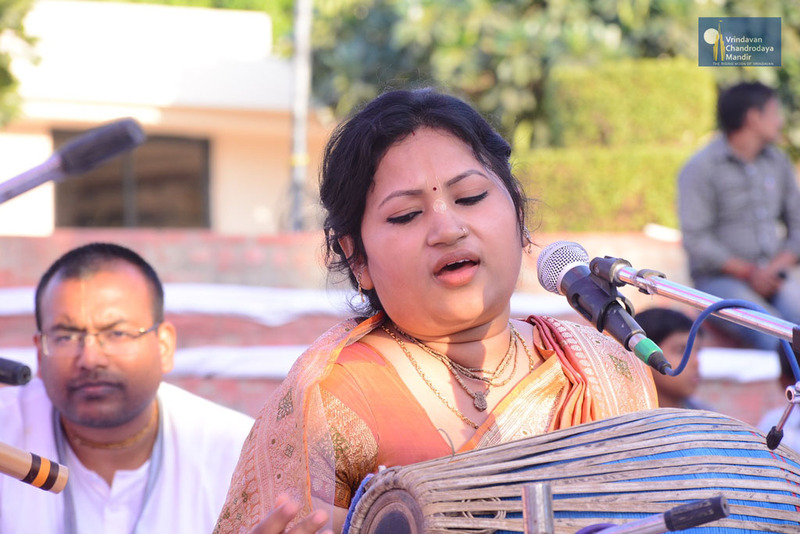 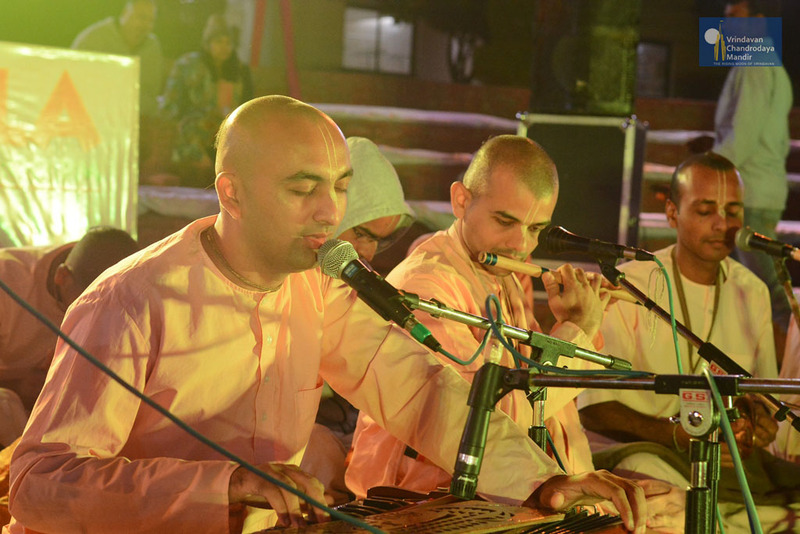 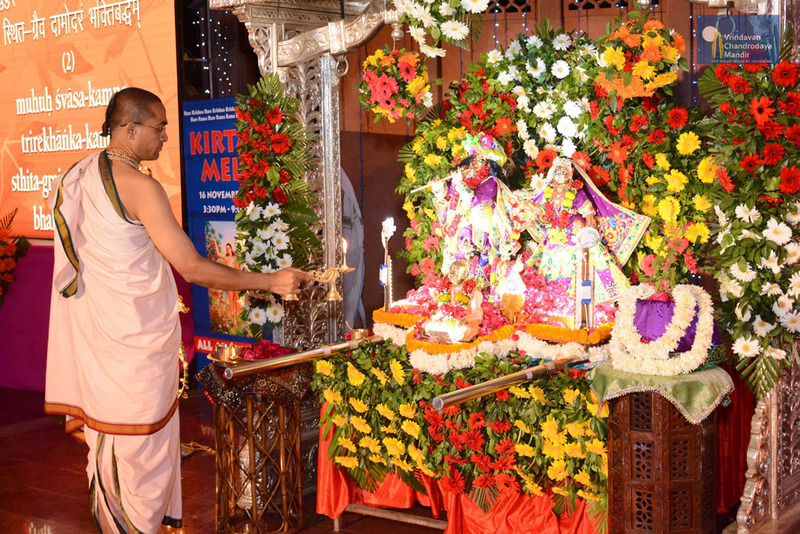 The first day of Vrindavan Karthik Utsav began at Vrindavan Chandrodaya Mandir with Kirtan Mela. 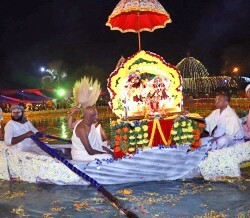 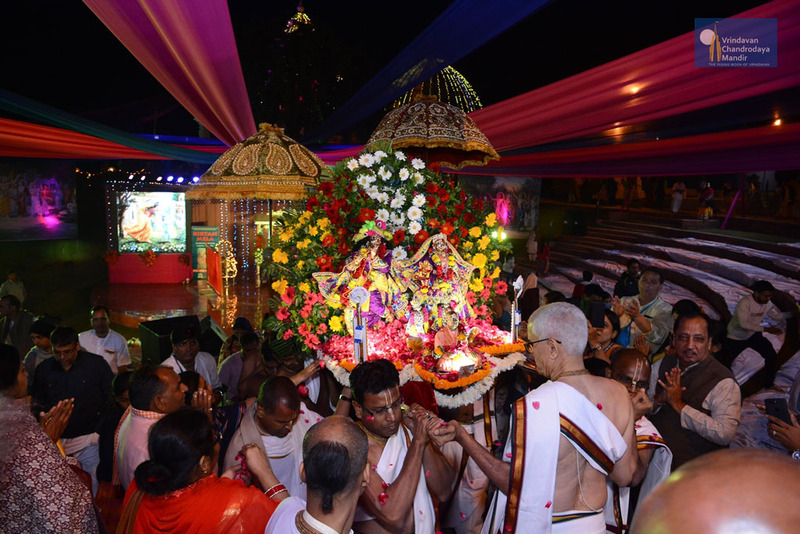 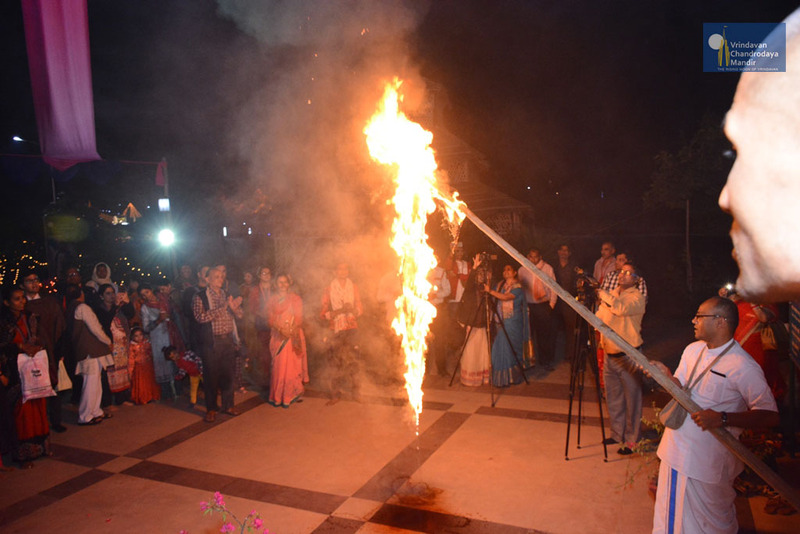 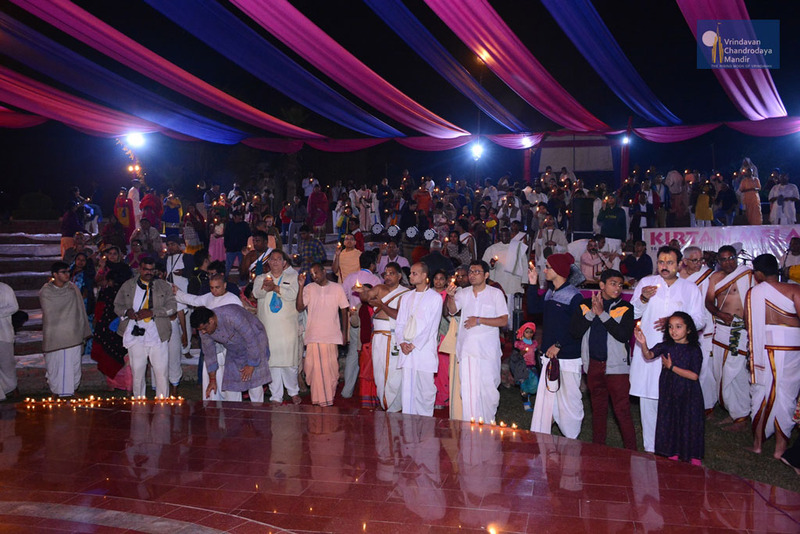 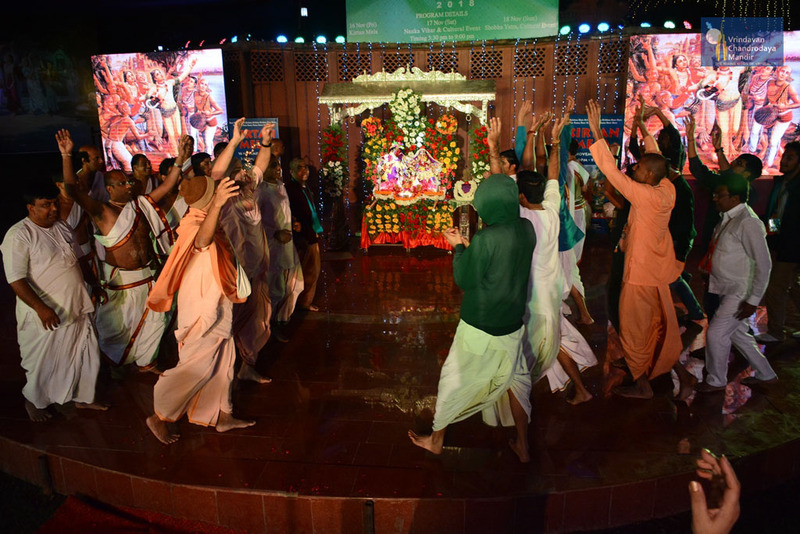 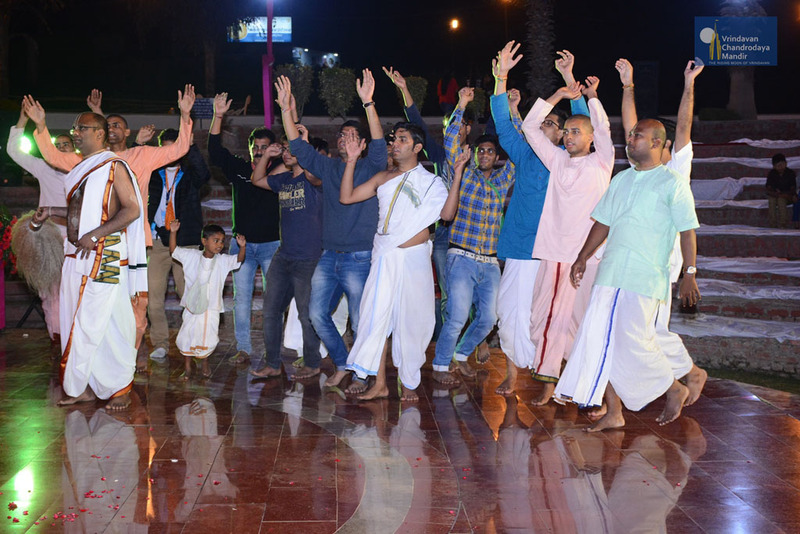 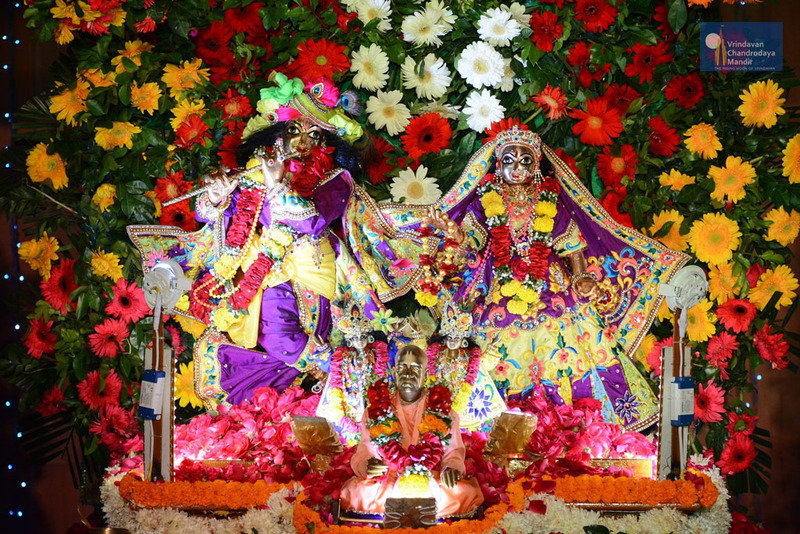 Utsav Deities of Sri Sri Radha Vrindavanchandra were brought in a procession to the Open Air Theatre where groups of devotees performed enthusiastic Sankirtana for the pleasure of Their Lordships. 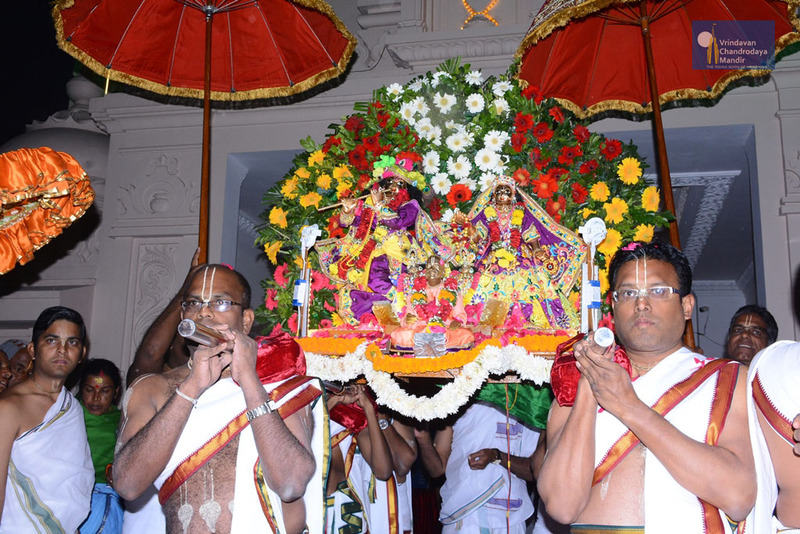 Damodara Deepotsava was performed later where devotees sang Damodarshtaka and offered ghee lamps to Their Lordships. 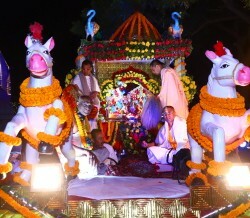 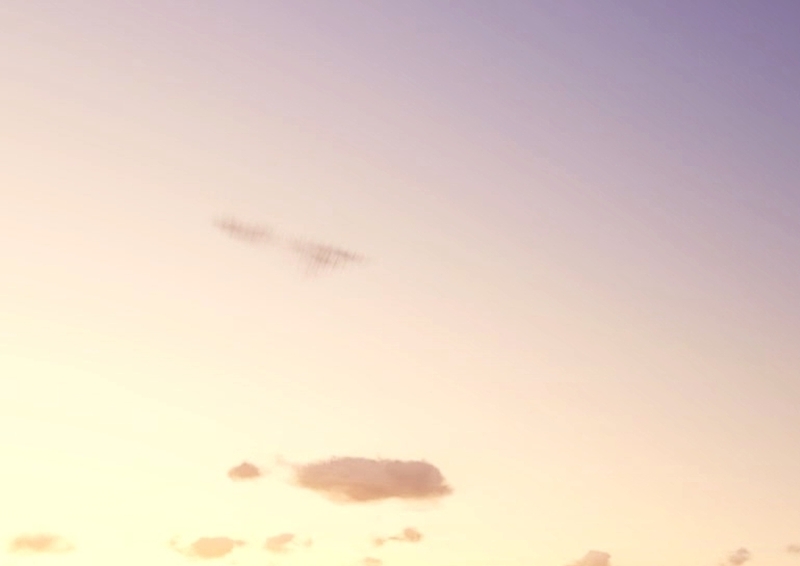 Finally the Deities returned to Their Altar in a ceremonic procession. 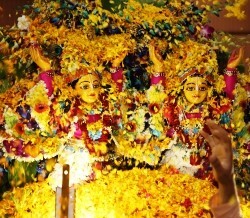 All devotees were served Mahaprasadam at the end.